Great views with megalithic history. 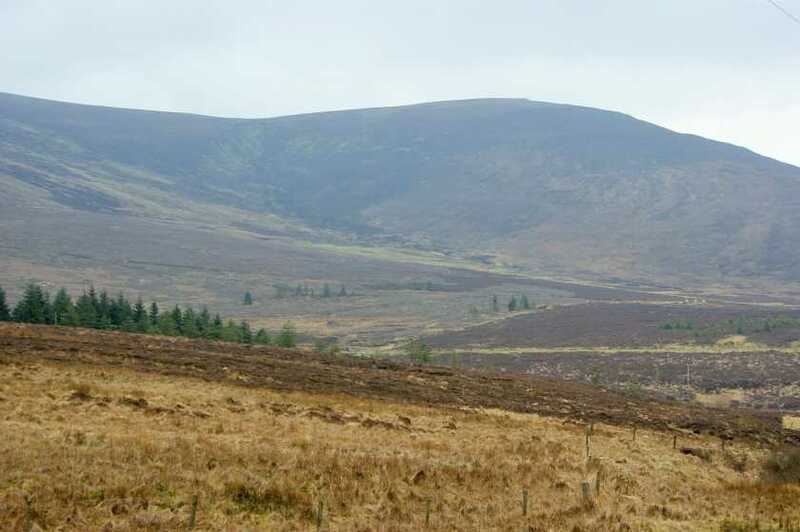 Seefin has many attractions for the walker, giving great views over west Wicklow, the Pollaphuca Reservoir and Kildare. It also has a magnificent megalithic tomb parts of which it is still possible to clamber into. There's a number of ways of reaching the top. One place to start from is O 0636 1747 A. Walk from there to around O06291685 B and then head up the hill keeping outside the boundary fence of the Kilbride Firing Range. The advantage of this starting point is that should you be doing a circuit coming back via Seahan, you are positioned fairly far north. Alternatively you can start from various places such as O068 154 C (up a ride) or the car park at Kippure Bridge O079145 D. It will take about 30 mins to reach the top.